Novel Coworking recently renovated the 1916 LaSalle Building into four floors of shared office and meeting space. 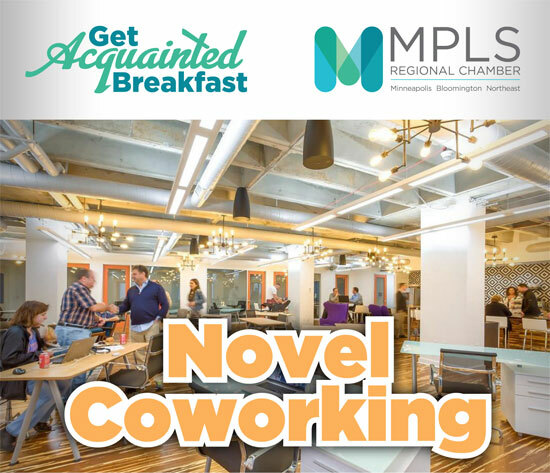 Join the chamber at Novel Coworking for breakfast and the opportunity to introduce yourself with a one-minute commercial. This free event is a fun and informal way to grow your network – register today!